MOMUS 9.25.2018 In which The late Wojnarowicz haunts The Whitney. ARTFORUM 8.10.2018 In which I review a rare exhibition of recreations of some of Dee Dubs’ installations. 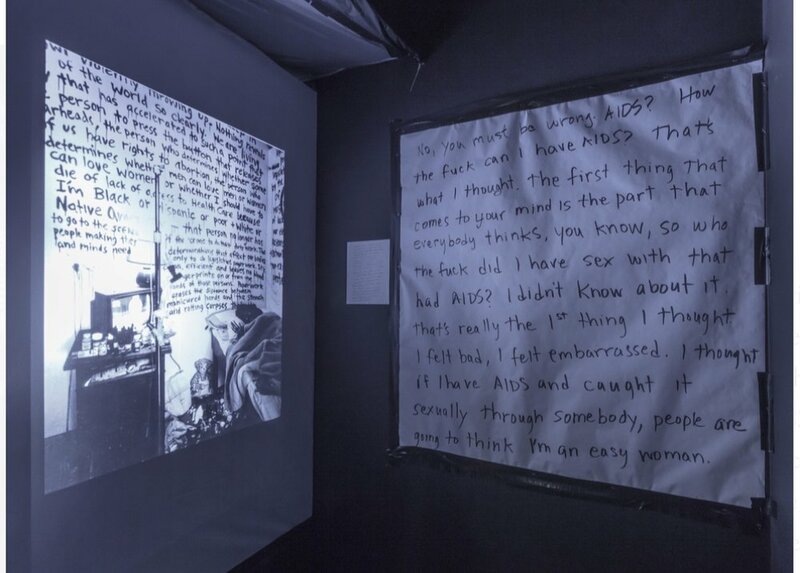 ART IN AMERICA 9.17.18 Marsha Johnson, the archive, and Queer Time Travel. ART IN AMERICA 5.01.2018 An introduction to the work of the great young Philadelphia flaneur, Wilmer Wilson IV. 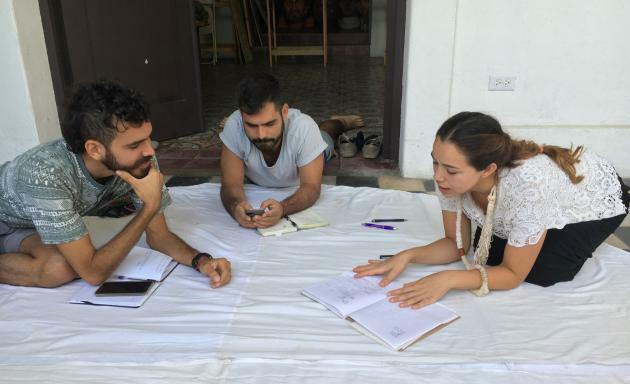 FRIEZE 4.11.2018 An overview of how artists in Puerto Rico quickly rallied to provide important community-wide mutual aid in the aftermath of the wreckage of Hurricane Irma. Featuring Beta Local! ARTFORUM 2.6.2018 An artist, wearing a suit made of a digital scan of himself, locks himself in a room in The Hamptons for over two months during the winter, goes insane. The critic takes notes. ART IN AMERICA 10.23.2017 A mid-career look back at the poetic, provocative, and often hilarious work of the beloved San Francisco artist — and cofounder of the Zapatista Space Program — Rigo 23. ART IN AMERICA 8.22.2017 On the eve of the collapse of the Bruce High Quality Foundation’s storied NYC free MFA art program, I go back to school. But is it just art? ART IN AMERICA 3.24.2017 In a storefront turned free cafe, deadpan trickster, Fran Ilich, challenges me to a mysterious ancient Mayan board game upon which he has based his utopian plans for an elaborate gift economy. I lose. ART IN AMERICA 1.27.2017 Weeks before Trump is even sworn in, the fascists have already sharpened their knives and taken aim at a statue of Leonard Peltier, causing the statue’s removal from public display in Washington, D.C.
ART IN AMERICA 9.26.2016 A review of an exhibition by one of my current art heroes, the cofounder of San Juan’s Beta Local, Beatriz Santiago Muñoz. ART IN AMERICA 6.27.2016 After Philly closes a public school in a poor part of town as part of neoliberal austerity measures, an artist and a small group of elementary school students heroically band together to recreate the school offsite. ART IN AMERICA 6.1.2016 An art biennial breaks out on the Chinatown bus to Philly. Art writing ensues. ART IN AMERICA 3.08.2016 The USC 7, the end of the MFA, and a preview of a current effort by young artists to recreate the magic of the original Black Mountain School on the hallowed school’s original North Carolina location. CALIFORNIA SUNDAY MAGAZINE 5.03.2015 My old neighborhood invades homes across California in glorious color via a Sunday newspaper supplement. HUCK 12.23.2015 A fond interview in a Texas truck stop with the peripatetic photographer and DIY hobo/punk/graffiti original, Bill Daniel. HUCK 1.08.2015 After The Strokes frontman stands me up for our date, arriving HOURS late, I get pissy and make him talk about The Coming Insurrection for the entire interview. “While we expect no less than towering excess from rockstars, nothing generates more excess than a rockstar who longs to be taken seriously." VICE 12.26.2013 In which I hitchhike to Texas with only a bass guitar in an effort — successful or failed, you be the judge — to jam with Greg Ginn and join the Black Flag reunion. SAN FRANCISCO BAY GUARDIAN 10.02.2012 The death of the classic American urban artist neighborhood and a rumination on Wojnarowicz’s ability to channel anger and abuse into artistic triumphs in this review of C. Carr’s essential Wojnarowicz bio.